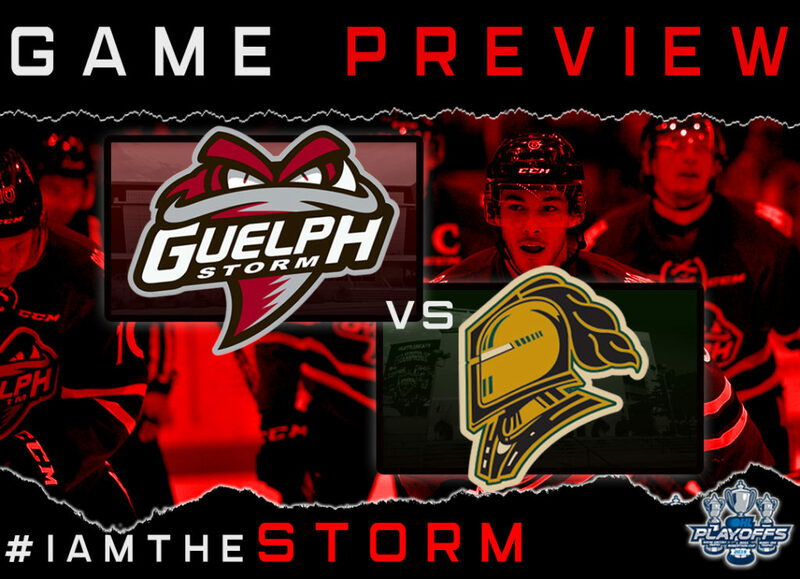 The Guelph Storm and the London Knights face-off today for game two of the Western Conference Semi-Finals in London at Budweiser Gardens, as the Guelph Storm look to even up the series heading back home. Puck drop is at 2:00pm. 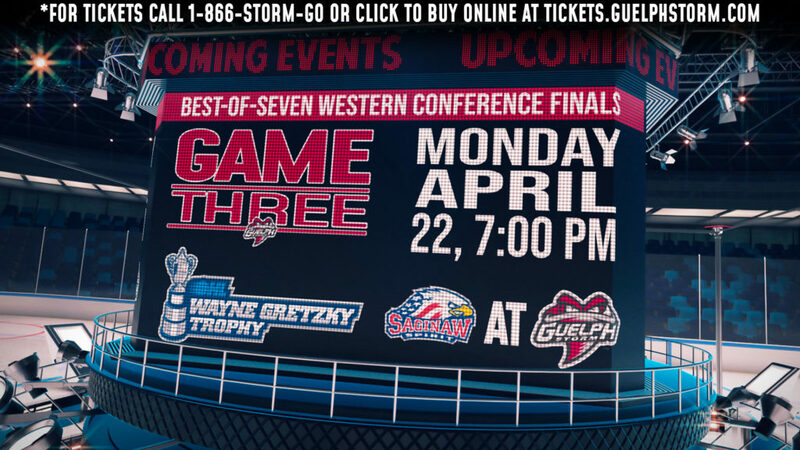 On Friday April 5th, game one between the Guelph Storm and the London Knights took place at Budweiser Gardens in London. The Knights jumped out to a 1-0 lead half way through the first period on a goal by Liam Foudy, before the Knights were awarded a penalty shot after Nick Suzuki wrapped up Josh Nelson on a shorthanded breakaway. Nelson would end up scoring blocker side on Anthony Popovich giving the Knights a 2-0 lead heading into the second period. 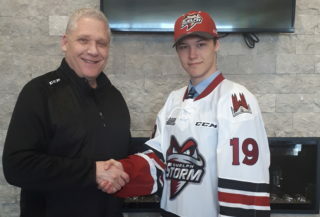 The Guelph Storm moved the puck well on a power play less than 5 minutes into the second period which resulted in Owen Lalonde scoring his first goal of the post season going high glove on Jordan Kooy. At the halfway mark of the period, Kevin Hancock scored a power play goal to give the London Knights a 3-1 lead heading into he final frame. In the third period, MacKenzie Entwistle scored to make the game within one goal, but that was as close as the Storm would get, as the London Knights took game one by a final score of 3-2. 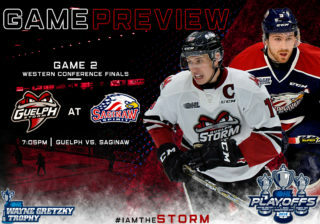 Cam Hillis returned to the Storm lineup for game 1 of the Western Conference Semi-Finals, and looked fantastic in his return finishing with 2 shots on goal and winning 6/8 face-offs. 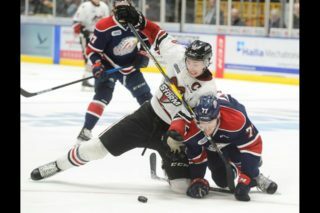 Drafted by the Montreal Canadiens in the 3rd round of the 2018 NHL draft, Cam has been dealing with injuries for a majority of the season, after finishing his rookie season with 59 points in 60 games, Cam finished the 2018-2019 regular season with 22 points in 33 games played, giving him 81 career points in the OHL. Alex Formenton has had a strong post-season for London thus far, with 2 goals and 10 assists for 12 points in 5 games played. Drafted by the Ottawa Senators in the 2nd round of the 2017 NHL draft, Alex collected 34 points in 31 regular season games this season.